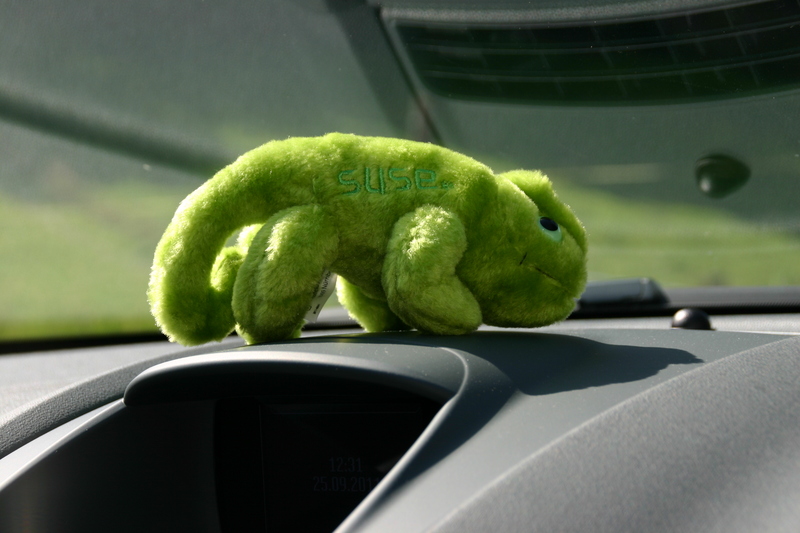 YaST2 got a lot of improvements which will be available in openSUSE 12.1. YaST doesn’t accidentally overwrite configuration files anymore (last bug fixed 😉 ) and snapper provides a rollback function for configuration options, just to mention a few. Therefore it’s time to give YaST2 a new and fresh style. As YaST Qt supports Stylesheets it’s simple to influence YaST’s style. FACTORY contains the new style already. 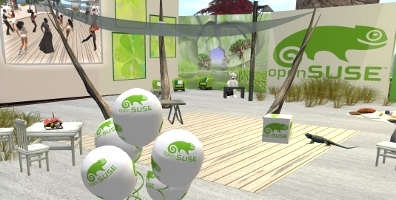 Packages for older releases are also available in my build service project: http://software.opensuse.org/download.html?project=home:tgoettlicher:Factory&package=branding-openSUSE. I hope you like it. You can use YaST’s Stylesheet Editor to play around the the stylesheet as described in my this blog post. Please send me improvements you want to share. Thanks. 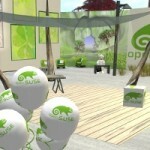 To fix that, Bruno Friedmann (tigerfoot) & Françoise Wybrecht (Morgane Marquis) invite you to come at Geekos Place on SecondLife and grab your own plush for free. A long dream has become true last week, with the effort of several people contributing together to make Tigerfoot’s dream a reality. 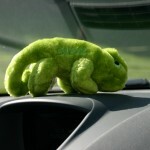 Geeko says: Hey dude, that’s my car! A few months ago, I’ve started to look for my next car. Then a crazy idea emerged, why not a Geeko’s car? At that time Gilbert my mechanic [www] told me that Ford will get a new Fiesta model called Sport+ with a more powerful engine, a new look & feel. I went to the exhibition and made a short test drive. The car was cool. The exhibit model was in blue with 2 white stripes. Blue? Green would have been cool isn’t it? 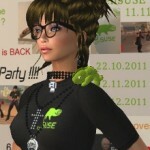 Françoise (aka Morgane Marquis) and myself (tigerfoot) organize 3 new parties on SecondLife  to welcome and fest our next release openSUSE 12.1, coming around the 11.11.11. 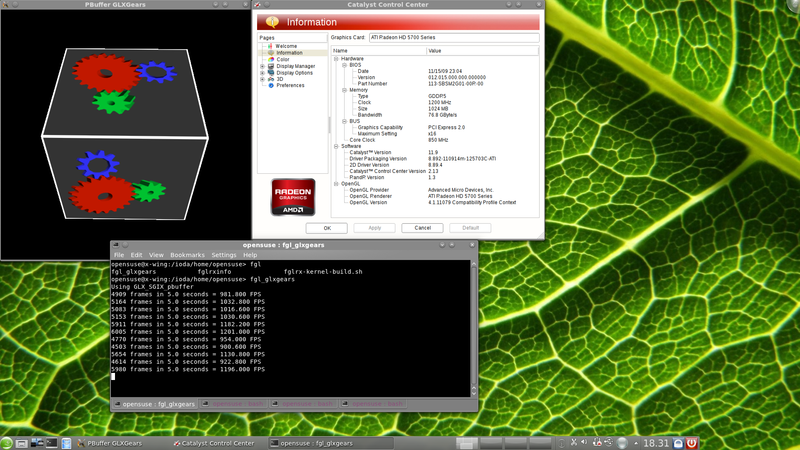 Three virtual great Saturday: October 22th, November 12th and December 10th. From 6 to 8am Australian DJ Ariella is back again. From 9 to 11am (SL time : utc-9) we will have the pleasure to listen American DJ Esquivel. 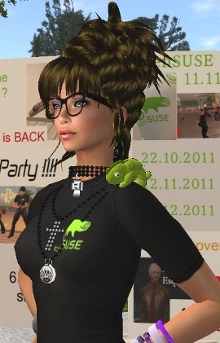 You should take this opportunity to try Second Life, creating an avatar, coming to dance and drinking some beers with us at Geekos Place.